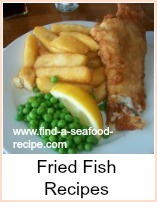 Here in my recipes for fried fish we now go to Japanese Tempura. 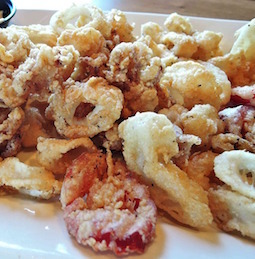 Use the tempura batter to coat thin strips of fish and vegetables (make them bite sized) and then fry them in batches. The quantity in this recipe is designed for four people - to be honest, it's so tasty, I could eat it on my own! Sift the flour, cornflour, baking powder and salt into a bowl. Beat the egg and water together and add to the bowl, whisk together and put in the ice cube to keep it cold.. This does not need the long beating of other batters, merely mixing until smooth. 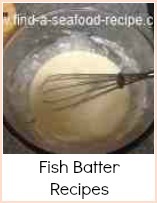 Within these recipes for fried fish, this is the only fish batter recipe that you mustn't let stand before using - make the batter just before you are ready to cook. Heat your oil to 180C/350F - if there's a smoke haze, then drop a bread cube in - if it rises and browns immediately, then your oil is ready. 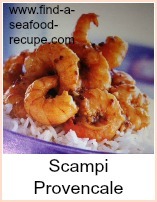 Dip the prawns and vegetables into the batter and then put them carefully into the oil. The prawns will need about 2 minutes and the vegetables 1 minute. Place them onto a warmed serving plate, garnish, provide each person with a little bowl of dipping sauce and let them tuck in. 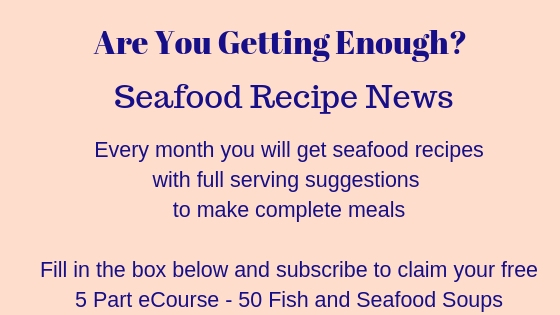 A great recipe for fried fish, Tempura batter coating fish pieces and fried in hot oil - perfect if you have a fondue set.